We went to Ocean Shores last weekend for a spur-of-the-moment one-night getaway. We stayed at a "resort-condominium" called "The Polynesian." It was on the beach. We enjoyed it--even the greasy Sunday morning buffet. 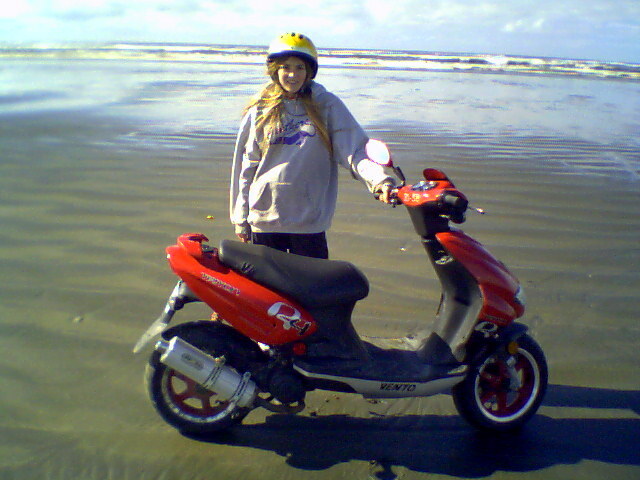 I just have one question: what happened to the "concept" of Ocean Shores? Sure, they have the mandatory upscale Native American casino at the edge of town, but besides that and the new convention center, very little looked post-1975. This was supposed to be the last word in planned communities, the model for the state of Washington. I remember hearing about Ocean Shores when I was a kid and all these lots that were being platted on the ocean and on the miles and miles of inland freshwater canals. The town itself was going to be the centerpiece, with wide right of ways for streets with fancy medians in between, underground utilities and a grand arched entrance to let you know that you've arrived someplace special. Undeniably parts of the development have been a big success with lush estates, beautiful weekend getaways on the canal system and plenty of very pleasant homes sprinkled throughout. The problem is the town, which looks like it is stuck in a timewarp. Where is the vision that created other planned resort communities like Whistler and Bend and that is producing the spectacular Suncadia Resort in Eastern Washington? The town of Ocean Shores has no intimacy largely due to the extreme width of the streets, which in some places is close to 150 feet. The intersections are poorly planned with lanes going every which way and one seems constantly in a state of confusion as tourists and locals try to avoid each other. There is not a decent restaurant in the entire town. For entertainment, you better like bowling or renting mopeds or riding the legendarily lethargic horses. The locals walk around like zombies. There are no trees to speak of and no town parks. No brew pubs nor intimate places for a romantic dinner. The streets are in need of repair, the medians are tedious strips of grass and garbage. The low-slung buildings in the commercial district are a hodge-podge of pedestrian design, mostly made on the cheap. Where are the architectural standards or the landscaping covenants that have made other communities so distinctive and user-friendly? The potential for a fully-realized and built-out planned community like Ocean Shores could have been is unfathomable. Still, most would call the current state of affairs a success. The hotels, motels, shops and fast food joints are packed solid in the spring and summer. The wide and sandy, though non-descript, beaches are the area's raison d'etre and draw in thousands of fishermen, kite-flyers, beach-combers and clammers when the weather gets good and storm-watchers and those who just want to get cozy or out of the city when the weather is bad. It's interesting to see that picture of Savi on this post because the last time Sue and I were in Ocean Shores was the week of Savi's birth, so it's coming up on 13 years. You've neatly summarized what I remember my feelings being at the time. I'll pile on a bit about the restaurants. We chose a Chinese place for dinner. It seemed the best at the time but I think we knew we were in trouble when our waitress turned out to be Thelma Jo. But you know what? We had a pretty good time. Worth doing again in another 13 years. The development concept sure is from another era, though.